Dr. Lauren loves working with children of all ages and backgrounds. Dr. Lauren enjoys being an advocate for the oral health of children. Her goal is to provide optimal dental care to children while being sensitive to their needs and infusing confidence and trust in the creation of a dental foundation for her little patients. 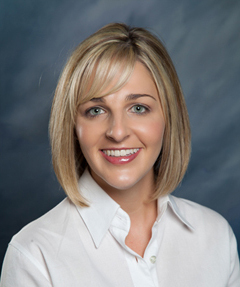 Dr. Lauren is a native to southern California (born and raised in Redlands, California). She earned a Bachelor of Arts degree in biology with minors in chemistry and Spanish from the University of Redlands. In continuing her education, she completed her Doctor of Dental Surgery degree at Loma Linda University School of Dentistry. While attending Loma Linda University, Dr. Lauren participated in several mission trips to Orange Walk, Belize, Pacoima, California and Mecca, California where she found her passion—caring for children. Furthermore, during her dental training, Dr. Lauren was one of only a select few who were accepted and completed a pediatric dentistry externship at Harvard School of Dental Medicine in Boston, Massachusetts. She then went on to earn a Master of Science in Dentistry degree and complete a residency training program in pediatric dentistry at Loma Linda University School of Dentistry; during this time she also designed, tested and published a clinical trial that is still in use today. Shortly after finishing her residency, Dr. Lauren completed the board certification process and become a Diplomate of the American Board of Pediatric Dentistry. Dr. Lauren Gutenberg, her husband, and their three dogs currently reside in the Inland Empire. Her husband, Riste, is the Dean of Faculty Development at California Baptist University’s Division of Online Professional Studies. She and her husband enjoy spending time with family, traveling, road cycling and reading. Dr. Lauren is thrilled and blessed to be providing quality and compassionate dental care to children in the Coachella Valley and Morongo Basin areas of southern California. Dr. Steven Niethamer’s philosophy is to provide the best possible dental care for children in a friendly environment and to advocate for children’s welfare in any way that he can. Dr. Niethamer obtained his Bachelor of Arts at UC Riverside and then attended the Washington University School of Dentistry in St. Louis, where he enjoyed all aspects of dentistry. After receiving his dental degree, he spent three years as a commissioned officer in the Indian Health Service on a number of remote locations in Nevada and Arizona. There he spent much of his time providing extensive dental care to children and fell in love with pediatric dentistry. He received his pediatric dentistry training at Harbor/UCLA Medical Center in Torrance. 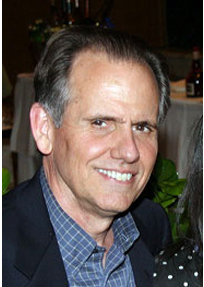 He has been board certified by the American Board of Pediatric Dentistry since 1991 and recently was inducted as a Fellow into the American College of Dentistry. He is on staff at Desert Regional Medical Center. In addition to providing outstanding dental services to the pediatric community, Dr. Niethamer is also very active in professional organizations that promote and advocate for oral health.